Use the form below to contact tour My Son Holy Land half day tour directly. Mỹ Sơn is located inside the valley complex of Quang Nam Province, southern Vietnam around 69 kilometers southwest of Da Nang city. From the 4th to 15th centuries, it was an imperial city during the Chăm dynasty. Besides Hoi An old town, an ancient destination of historical value in Da Nang, My Son in Quang Nam is also a place of historical and culture-oriented tourism. 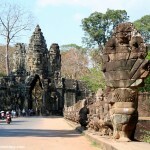 Am: Our guide picks you up at hotel and leave Hoi An for visiting My Son Holy Land – the ruins of Cham people and was an imperial city during Cham dynasty. Here you can have more chance to explore and understand of technique of Old Cham people in making red bricks to build Tower which still now a secret to everyone, you can see a large complex of religious relics that comprises more than 65 architectural works. It also surprises for those who are curious with architectural art. In 1999, UNESCO labeled the Cham architecture in My Son as a World Cultural Heritage Site. Moreover, you have chance to enjoy traditional music performed by Cham girls in their colorful uniforms. 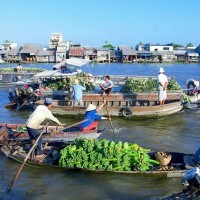 Then transferring you back about 30km, you will take a boat trip along the Thu Bon River to Hoi An Ancient Town. After that, back your hotel & end of tour. 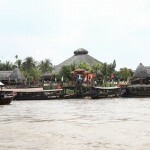 Then transferring you back Hoi An. End of tour at your hotel. 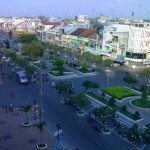 Leaving Hoian for My Son Holy land. Spend 2 hours walking around My Son with our tour guide. See the beauty of My Son in the early morning. This also the greatest time of the day for seeing the sunrise. 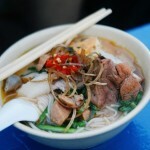 8:30 am: The bus take you back to Hoi An.